Rodgers Forge Apartments in Towson, Maryland is where you want your new home! All of our beautiful apartment homes are student-friendly and pet-friendly with a spacious condo-feel, complete with a W/D, granite counters, and hardwood floors in a beautiful layout. Rodgers Forge is located in one of the most beautiful neighborhoods in Towson, MD, providing you with unreal views from your 1, 2, or 3 bedroom apartment. Our location is ideal being less than 2 miles from Towson University, the Greater Baltimore Medical Center, and only 4 miles from John Hopkins. We are in an amazing location, close to great shopping, dining, entertainment, and are only a short commute into downtown Baltimore. Rodgers Forge is on the Towson Shuttle and Towson U Shuttle Line, making it that much easier for our residents! These Towson area apartments are student-friendly and pet-friendly, offering thoughtfully designed floor plans perfect for roommates, superb amenities including a dog park, and a professional on-site staff providing you with great customer service. Rodgers Forge provides a number of programs for their residents to save money and help them build their credit, by simply enrolling in our beneficial Bridge Credit Plus program you will build your credit just by paying rent, it's as easy at that! Call or come by today to take a tour of our apartments for rent and to make your new home at Rodgers Forge in Towson, MD! We can't wait to meet you! Rodgers Forge offers 1, 2, and 3 bedroom student-friendly and pet-friendly apartments that feature thoughtful design, and recent upgrades to make your home your personal retreat in Towson, Maryland. One bedroom apartments for rent range from 725 to 907 square feet while two bedrooms range from 907 to 977 square feet. Three bedroom layouts measure 1,100 square feet. All apartment homes are equipped with a washer and dryer, so you can get chores done faster and have more time to enjoy your day. These roommate-style floor plans included an in-home W/D. You'll love the clean design of the full-size kitchens, wood flooring, and recent upgrades. All apartments are cable ready and pet-friendly and include off-street parking. Stunning features are just the beginning at Rodgers Forge apartments in Towson, MD. Rodgers Forge is in an amazing location, close to Towson University. Your new home gives you full access to community amenities like the fenced dog park, package receiving, and business center. 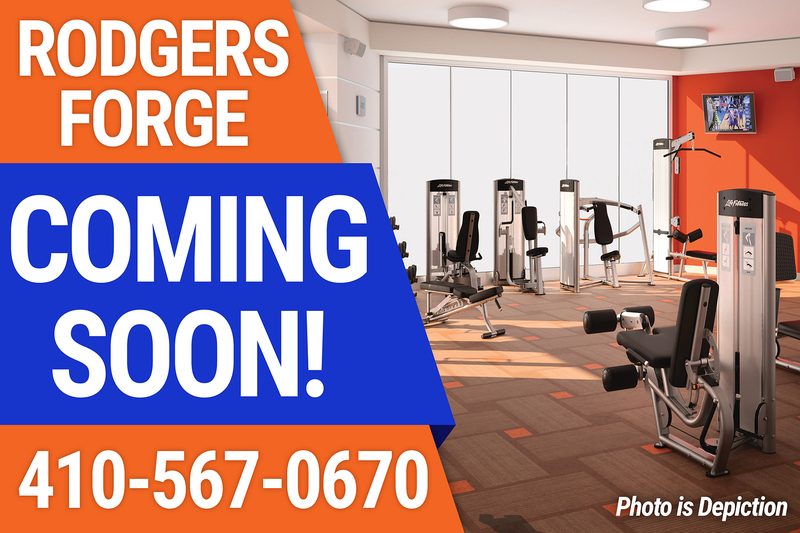 Contact our office team to learn more about available apartments in Towson at Rodgers Forge. 725 -to 907Square feet Sq.Ft. 725 -to 1100Square feet Sq.Ft.